Need help using the Bluebook? 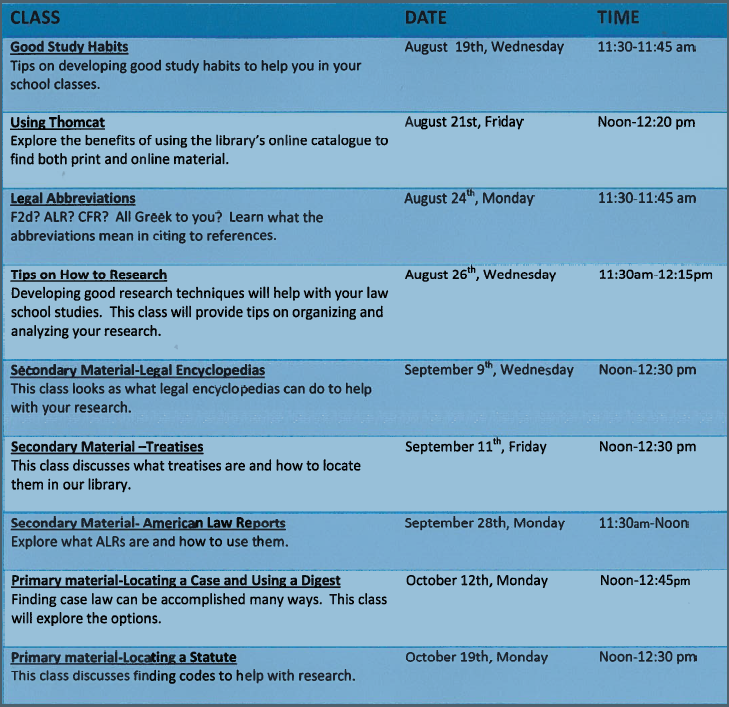 Come to the library for the Bluebook trainings! I’d like to focus for a moment on the third one. The author suggests making connections within the law school and the wider university through activities and other diversions as a break from the law school routine. That’s great advice as law school can be a highly competitive grind. I’d like to make one other suggestion that may help the new student: get to know a librarian. Why? Because we know stuff that students do not. 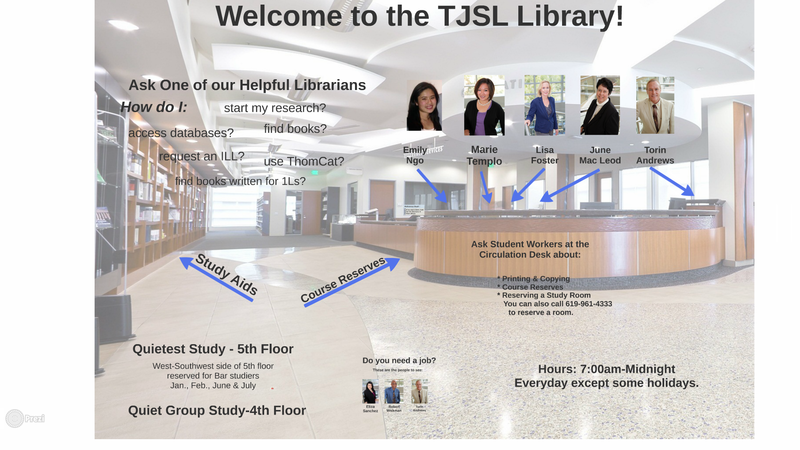 The Library would like to welcome the new 1Ls and transfer students, and welcome back our 2Ls and 3Ls. Please view this presentation as a reminder of what is available to you in the library and whom to contact about research, jobs, and general inquiries (Leigh Inman, Library Director & Assistant Professor of Law). To help you along your path to success, we have organized new mini-classes for you. The schedule is displayed below. Please sign-up for mini-classes through the Legal Research Training TWEN page. For additional legal research assistance, please explore LibGuides or make an appointment with one of our librarians. Please be aware of our new noise policy. 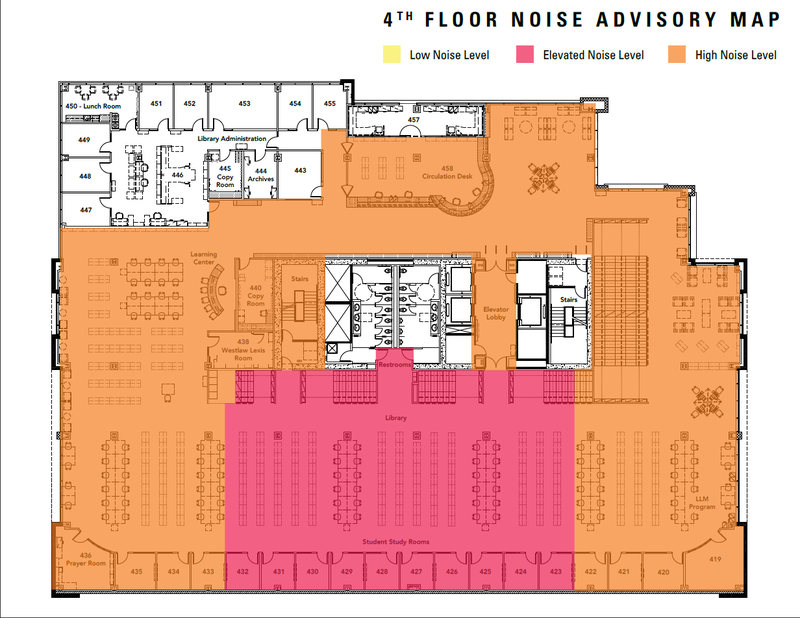 The noise map will show you where you can expect to find quiet study space (towards the rear of the library on the 5th floor). NITA – the National Institute for Trial Advocacy Training, is a nonprofit organization that provides legal advocacy skills training and continuing legal education. Although NITA is well known for its fee-based training seminars and publications, NITA also has free online webcasts in a more condensed format that are available on-demand through its website. These “Studio 71 Webcasts” cover a number of trial advocacy related topics such as handling non-responsive witnesses, family court advocacy, persuasive expert testimony and communications skills for lawyers. For more information and to access these free webcasts, go to the NITA website.